The Evergreen Park Humana location is offering a wide range of community programming to local residents and business people. 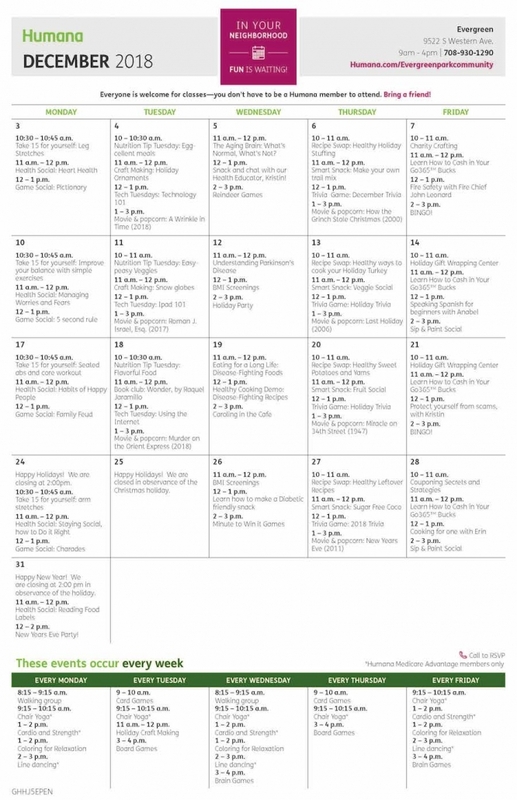 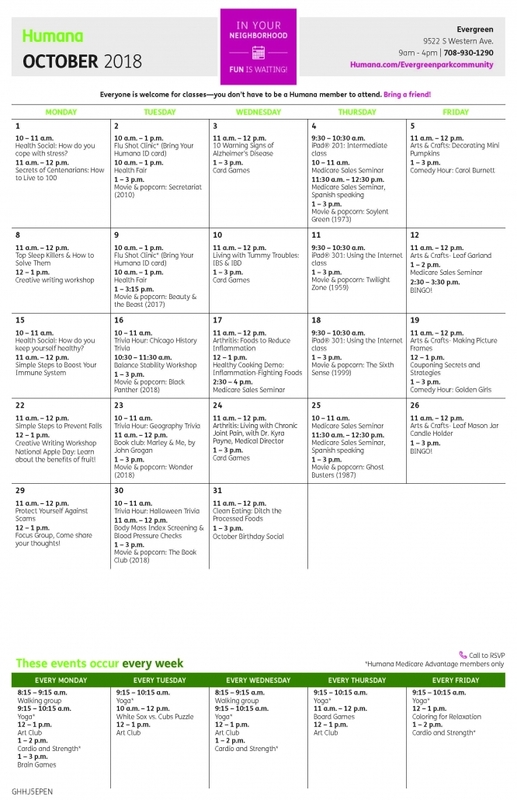 The programs include a variety of special events, programs and activities designed to improve your physical and mental health. 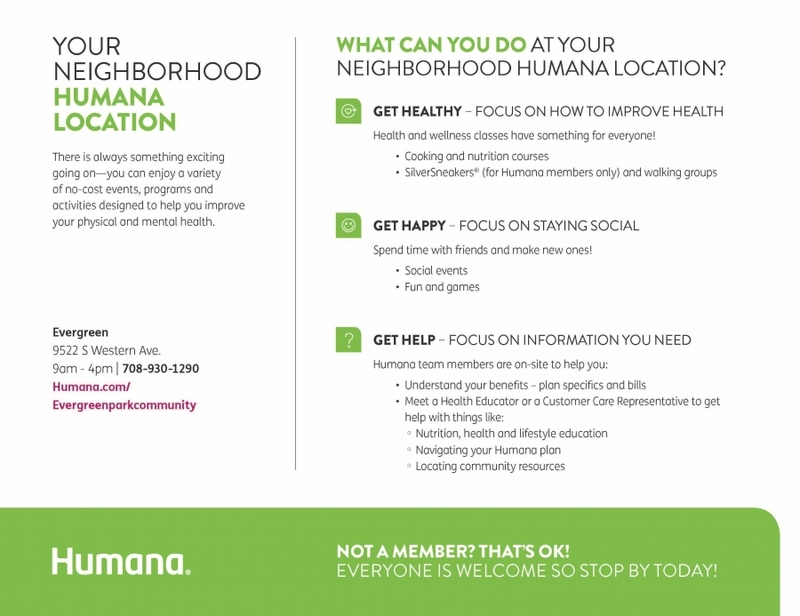 Most of these resources are free of charge; Humana membership is not required. Be sure to check our their calendars below!